Frazer makes it easier to keep track of reconditioning costs. The first step is to open a vehicle from your inventory screen. 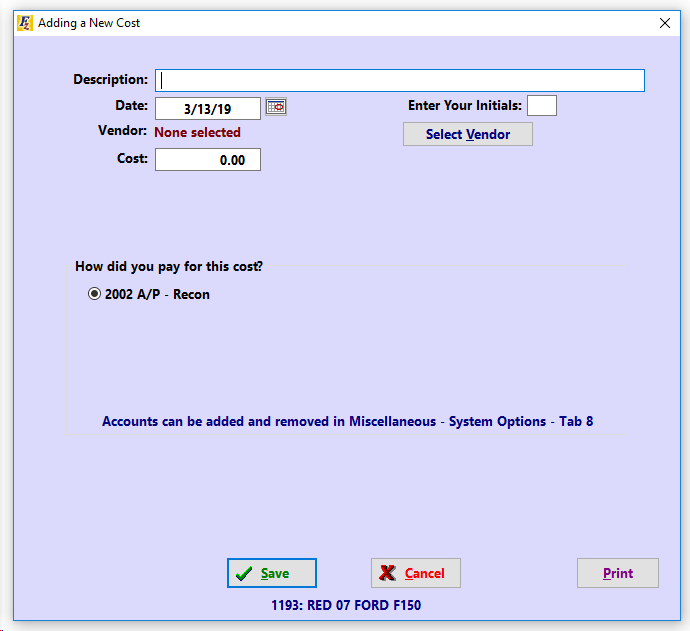 To edit a previously entered added cost, select the cost and edit the cost as needed. 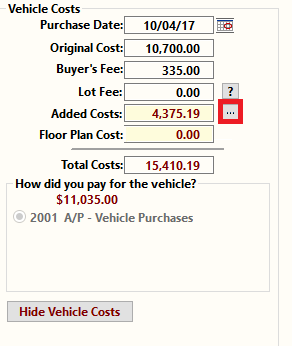 To delete a cost, simply highlight the cost in the list, and click "delete" at the bottom of the screen. To add a new cost, click on "Add Costs". Enter the date for the added cost. Enter your initials for who added the cost to the vehicle. Select the vendor who performed the service work. How much did reconditioning work cost? Note: There is an option to include a labor calculator by enabling it in M-1-5. How did you pay for this cost? 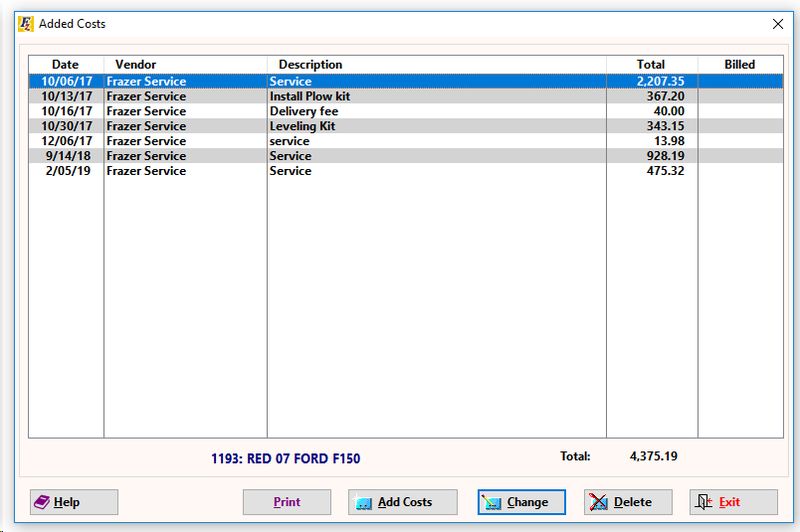 Select the General Ledger account for which to apply the cost to. Print a report for the particular added cost you're looking at.